Thunderclap Newman was a British rock band that Pete Townshend of the Who and Kit Lambert formed in 1969 in a bid to showcase the talents of John "Speedy" Keen, Jimmy McCulloch, and Andy "Thunderclap" Newman. Their single, "Something in the Air", a 1969 UK number one hit, remains in demand for television commercials, film soundtracks and compilations. The band released a critically acclaimed rock album, Hollywood Dream, and three other singles (which appeared on the album), "Accidents", "The Reason" and "Wild Country". From 1969 until 1971, the nucleus of the band consisted of the songwriter John "Speedy" Keen (vocals, drums, guitar), Andy "Thunderclap" Newman (piano) and Jimmy McCulloch (guitar). Pete Townshend (using the alias "Bijou Drains") played bass guitar on their album and singles, all of which he had recorded and produced at the IBC Studio and his Twickenham home studio. The band augmented its personnel during its tours: in 1969 with James "Jim" Pitman-Avery (bass guitar) and Jack McCulloch (drums); and in 1971 with Ronnie Peel (bass guitar) and Roger Felice (drums). The band folded in April 1971 but was resurrected by Andy Newman with a new group around 2007. Hollywood Dream is the only studio album by British rock band Thunderclap Newman. The album was produced by The Who's guitarist and songwriter Pete Townshend, who was also responsible for the band's initial formation. Townshend helped the group to obtain a recording contract with Track Records, a company formed by Kit Lambert and Chris Stamp, who were managers of The Who. Townshend also played bass on the album, credited under the pseudonym "Bijou Drains", although the later CD releases do not credit him. Track Records licensed the recordings to Atlantic Records for initial release in the U.S. The group's first single, "Something in the Air", was a UK number 1 hit and is the song for which Thunderclap Newman are best known. The single also reached #37 on the Billboard Hot 100 chart in the U.S. The album was recorded after the initial U.K. success of the first single. 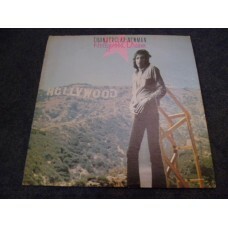 The original 1970 release opened with "Hollywood #1", with the title track, an instrumental by young guitarist Jimmy McCulloch, appearing toward the end of Side 2. The album then culminated in a reprise of the opener, "Hollywood #2" (featuring a miscellany of instruments including soprano saxophones, glockenspiel, sleigh bells, a Japanese battle cymbal and a Chinese temple block), and finally "Something in the Air". 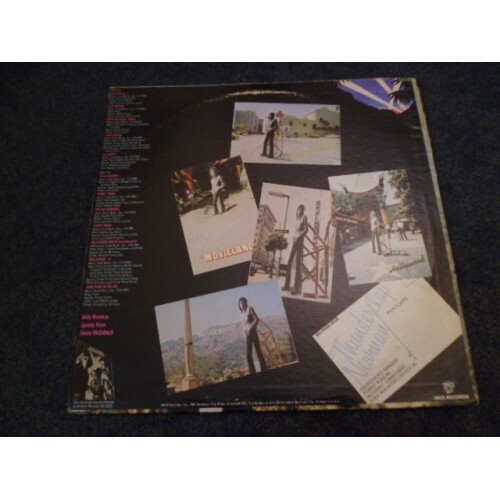 In 1973 the album was reissued in the U.S. with different cover art by MCA Records. For its CD release in 1991, "Something in the Air" was moved to the start of the record. This version also added the single versions of "Something In The Air" (the single version's mix differed from the album version), "Accidents" and "The Reason", and the three non-album B-sides as bonus tracks. "Something in the Air" makes a brief appearance in the 1969 film The Magic Christian starring Peter Sellers and Ringo Starr. It also appears on the accompanying soundtrack LP. All songs written by Speedy Keen unless otherwise stated.